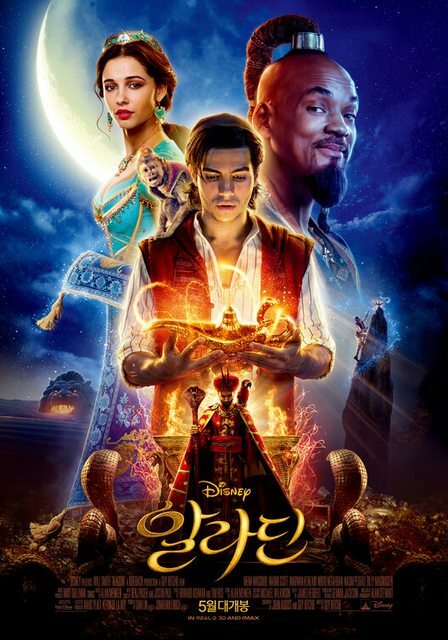 Plot Summary: The “Aladdin” cast includes: Two-time Oscar® nominee Will Smith (“Ali,” “Men in Black”) as the Genie who has the power to grant three wishes to whoever possesses his magic lamp; Mena Massoud (Amazon’s “Jack Ryan”) as Aladdin, the hapless but lovable street rat who is smitten with the Sultan’s daughter; Naomi Scott (“Power Rangers”) as Princess Jasmine, the Sultan’s beautiful daughter who wants to have a say in how she lives her life; Marwan Kenzari (“Murder on the Orient Express”) as Jafar, an evil sorcerer who devises a nefarious plot to unseat the Sultan and rule Agrabah himself; Navid Negahban (“Homeland”) as the Sultan, the ruler of Agrabah who is eager to find a proper husband for his daughter, Jasmine; Nasim Pedrad (“Saturday Night Live”) as Dalia, Princess Jasmine’s hand maiden and confidante; Billy Magnussen (“Into the Woods”) as Prince Anders, a suitor from Skanland and potential husband for Princess Jasmine; and Numan Acar (“Homeland”) as Hakim, Jafar’s right-hand man and head of the palace guards. Last edited by Necro; 01-04-2018 at 11:32 PM. From Kimberly of the new age to being Princess Jasmine really happy for Naomi Scott. She came off really strong in the Power Rangers Movie and I think she'll be able to be that damsel in distress, while also calling Aladdin when he's doing something stupid. 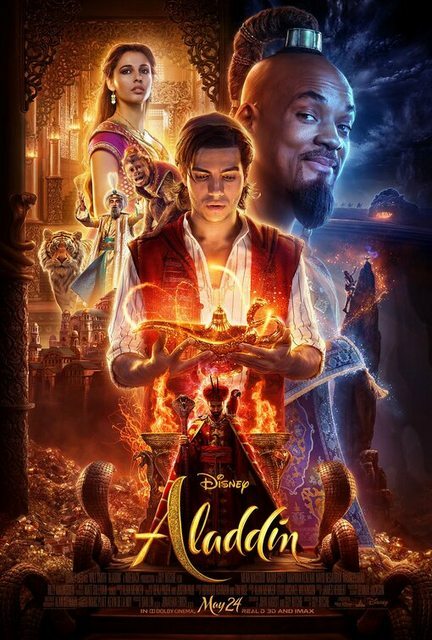 Now as a kid my two favorite Disney Animated films were The Lion King and Aladdin, so I'm hoping they knock it outta the park with this Live Action version of the film. I remember going to see the animated one at the cinema randomly with a friend and his family when I was a kid. I loved it. I expect nothing less from this. The original is my all-time favourite animated movie so I'm pretty excited for this. Something else i'm going to end up watching with the kids haha. What is it with remakes of all these kind of films recently? Beauty & The Beast and The Jungle Book made loads, people love the Disney classics, and it's a remake of an animation so it's still somewhat fresh (especially as the films they're remaking tend to be at least 20 years old). For what it's worth, my favourite of the remakes has been Pete's Dragon. Most are alright but nothing special. 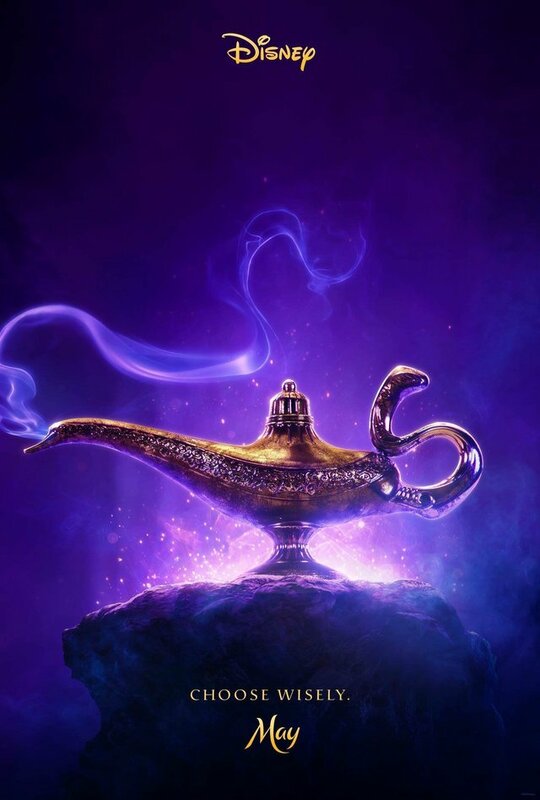 I think I heard we'll get our first look with a Teaser or Full Trailer tomorrow which I wanna see what the Genie looks and sounds like in Live Action form. Naomi Scott is coming up in the world loved her in the Power Rangers film, make me fall in love with your as you play Jasmine. Man that tease. 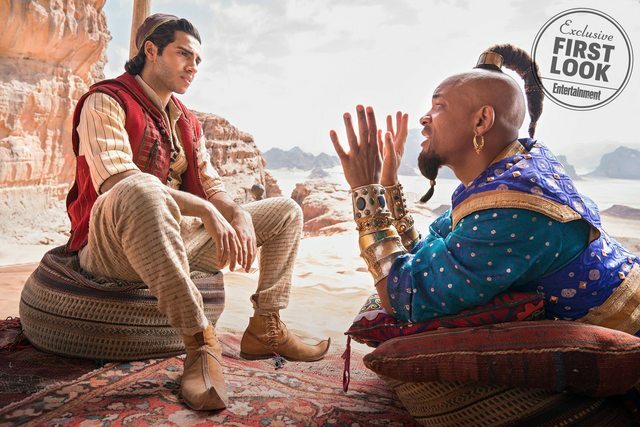 I thought we would get an Action Set piece in the first look maybe with Aladdin running from The Royal Guards/Police, but hey this is happening and I can't wait to see it. I'm pretty sure I'm going to cry when A Whole New World is played. 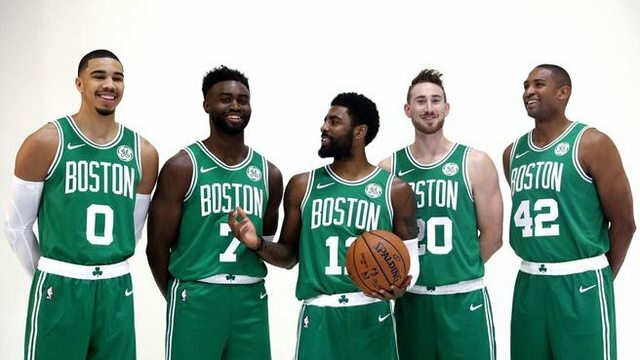 First images of the Cast. 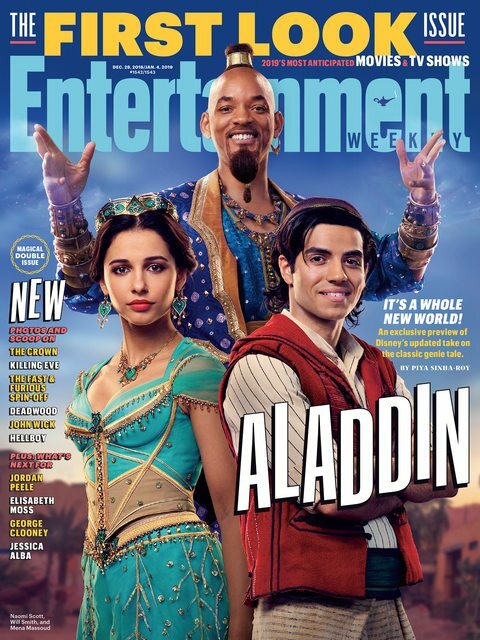 Don't worry about the Genie's look I think I heard this is his human form because his CGI Blue version isn't finished up yet they said. I think it's more that they want to keep the look secret maybe till the next Trailer. 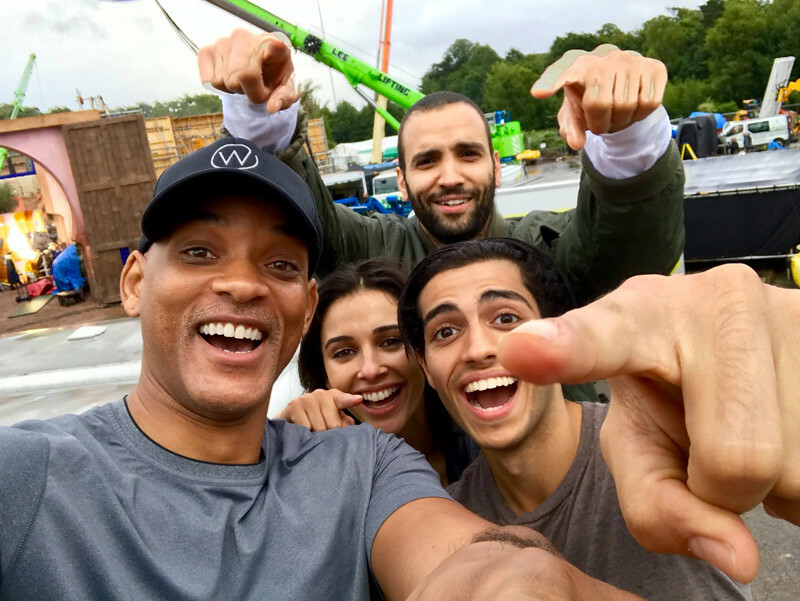 Uncle Will and Naomi Scott looking like Snacks out here in this mofo woah.